ETC Hosts NewSpace and Aerospace Financing Seminar! Financing in the newspace and aerospace industries can be decidedly complex for a variety of reasons. The industries’ top customers are massive corporations with exceptional negotiation power vis a vis their vendors. These imbalances coupled with a perpetual flow of new innovations create too much uncertainty and risk for traditionally conservative lenders such as banks. Smaller and newer players must therefore look outside the standard lending models and seek out new solutions flexible enough to keep up with their own innovations. Join us at WeWork Queens Plaza on Tuesday, November 20, at 7pm to learn how you can use trade finance to supplement your operational funds and close the cash flow gap that often occurs when big customers pay on open terms. 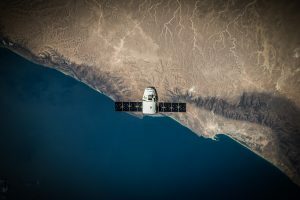 ETC’s own Joseph Stern will discuss a joint venture between US satellite manufacturers and a Russian space agency that sought to launch commercial satellites into space. This example demonstrates how even the most complex international transactions can be simplified with a strategic system of trade finance and logistical solutions. We hope you’ll join us for a fun and informative evening! Click here to RSVP.